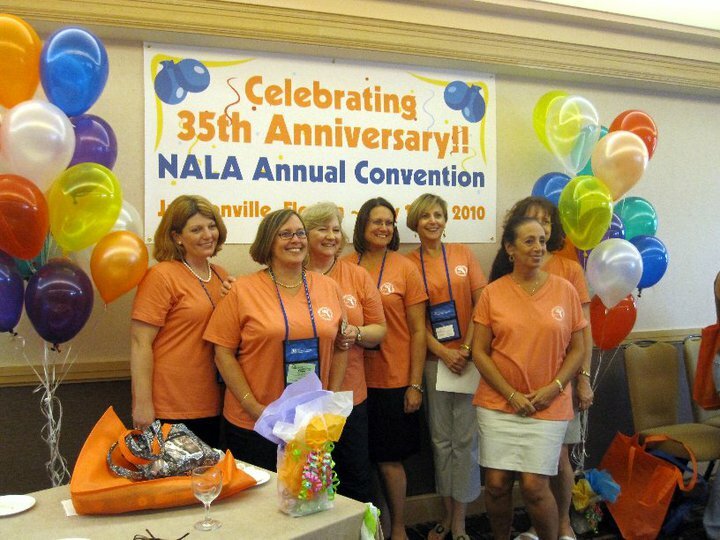 ﻿﻿﻿Last July I had the privilege of getting to know the members and officers of the Northeast Florida Paralegal Association (NEFPA) at NALA's Annual Convention and Exhibition held in Jacksonville FL. 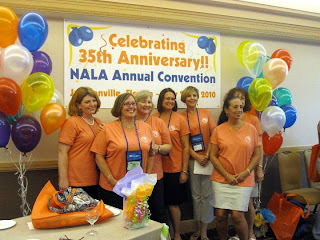 What an enthusiastic group of paralegals! The association works very hard to keep its members informed...and they demonstrated that once again last Thursday when more than 100 people attended an event at Jacksonville's River Club with featured guest speaker Cindy Laquidara, general counsel for the City of Jacksonville. The Jacksonville Financial News and Daily Record reported that Ms. Laquidara spoke about professionalism and government law, as well as the effect social media and the Internet have on the practice of law. She stressed the difficulty of dealing with all the people who want to ask you about cases you're working on, especially when everyone around you is talking about the case. Put simply, you can't talk about any cases because innocent conversations can lead to huge problems in the courtroom. Paralegals must remember that ethics rules are quite clear while you're at work. Within the confines of the work place, conflicts checks are routine. It's usually apparent whom the firm is representing. Everyone understands that communications, both oral and written, must be confidential. Privileged documents and communications are evident. It's obvious that the attorney is the one licensed to practice law. Other people are paying attention to what you are doing. All of your actions after hours are bound by the same ethical obligations as when you are on the job. Further, these acts may be just as damaging, perhaps even more damaging, as anything you do at the office. Simply put, don't talk about cases outside the office. Don't post anything about confidential matters on social networks or blogs. Always remember that there is little expectation of privacy when you are with other people, no matter what the situation.